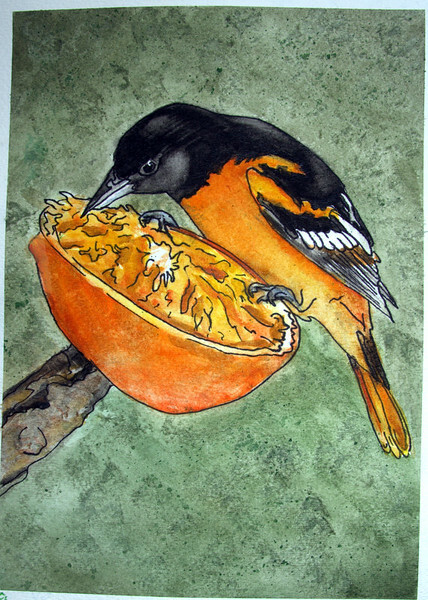 "Ever since I was a baby, my mom has been trying to attract orioles to our family bird feeder. Finally, one afternoon this spring, a single male Baltimore Oriole landed on an orange. A few moments later, six more orioles joined the first. It was an amazing few days as the orioles regularly visited us. My mom and I will always remember the orioles that visited us this spring as one of the highlights of our birding experiences."